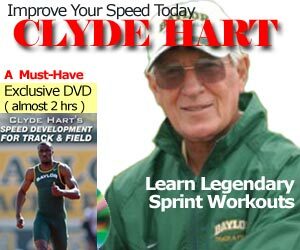 This is Part 5 in the series called Plyometrics, Ground Contact Time, and Sprinting. Part 2 of this series covered How to Weight Train without Weights and it focused on speed strength. Part 3 of this series was Driving Resistance Band Training with a video from Remi Korchemny. Part 4 of the series started getting into the 5 different types of “strength training”. His 15 minute YouTube video below is a great summary and explanation on Explosive Strength Training. After watching the video, you’ll understand the importance of optimizing your Ground Contact Time, and therefore improve your Sprinting. Nice stuff Tim. Thanks for sharing. Good Stuff, always good to hear good stuff like this. all your articles have been really helpful, thanks for sharing.